Telford Drain Cleaning: We Clear Blocked Drains And Unblock Drain Blockages So Your Water Runs Freely. 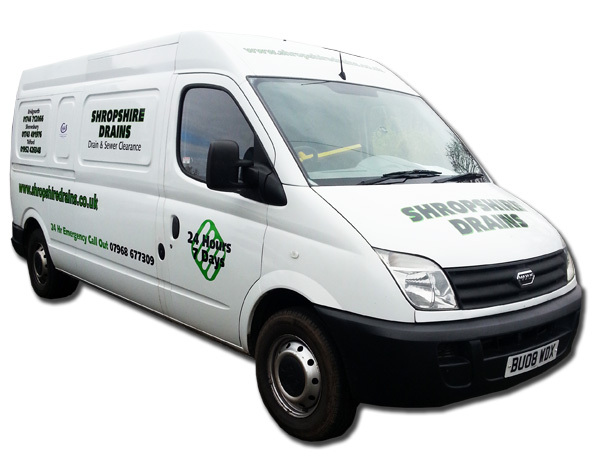 The Telford Drain Clearing Company with over 20 years experience in carrying out drain cleaning, unblocking drains, clearing blockages and sewer maintenance work in all Telford and Wrekin areas. Clearing Telford drains and blockages in and around Ketley, Priorslee, Dawley, Wellington, Donnington, Trench, Hadley, Stirchley and Horsehay. An independent Telford drain cleaning contractor that offers the best possible prices and always gives a professional service. Contact Telford Drains 24 hours a day, 7 days a week. We are always on hand to give you expert advice for your Telford blocked drains and sewerage issues.